Spacious, stylish and well thought through, the Renault Scenic is an excellent choice for families that require lots of space but don't want to sacrifice an enjoyable driving experience. Thanks to its elegantly crafted exterior, comfy cabin and the engaging ride on offer, the Scenic makes an impressively practical choice. 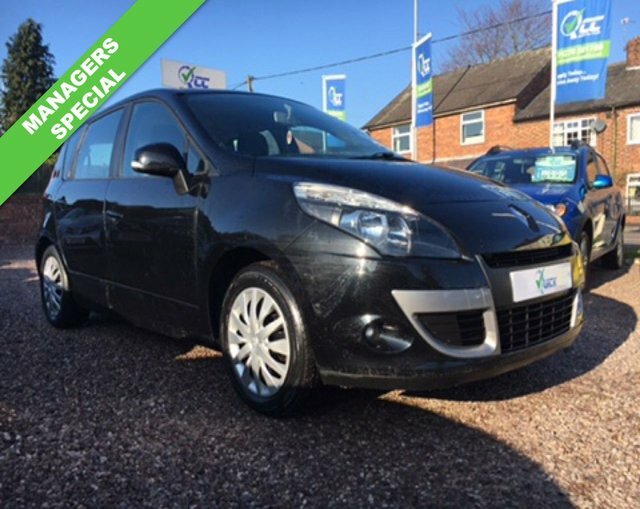 Take a closer look at the range of used Renault Scenic models for sale in Winsford today by coming to Quick Car Credit. At our showroom you'll find a superb selection of quality used cars for sale, with options to suit every budget. Get in contact with a member of the team today for more information and to arrange a test drive. Finance is available to UK residents aged 18 years or older, subject to status. Terms & Conditions apply. Indemnities may be required. Other finance offers may be available but cannot be used in conjunction with this offer. We work with a number of carefully selected credit providers who may be able to offer you finance for your purchase, commission may be received. We are only able to offer finance products from these providers. Postal Address: Quick Car Credit, 168 Crewe Road, Haslington, Crewe, Cheshire CW1 5RN. Find contact details here.